With several changes in the Pine Ridge article you could be talking about the Sisseton-Wahpeton situation in the northeast part of South Dakota. Basically Sisseton is one of the few who protested and declined the 1934 Wheeler Howard Act also known as the Indian Reorganization Act (IRA). Hence Sisseton is still a "Treaty Tribe" not bound by the United States Government or its henchmen in the Bureau of Indian Affairs. Assistant Secretary of Interior, Mr. Kevin Gover made it publicly clear that he is a company man employed by the most repressive government in the world. He said if the traditional people at Pine Ridge, did not cease and desist with their peaceful occupation he would unleash the calvary against the people. Can you believe these are words from the mouth of an Indian?? At Sisseton, our people told the tribal council that if they failed to listen to or follow the words of the people we would not leave the building. Our council failed to listen and adjourned the meeting and the people stayed. 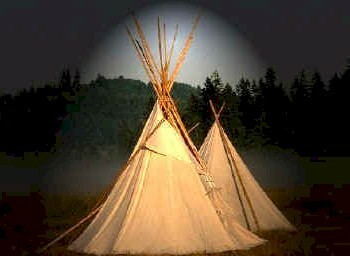 What followed reminds me of what a few of our people did in the mid 1800s. A few sellouts, in the 1870s and 80s would set up camp outside of the U.S. Military Forts and live off the handouts and garbage from the soldiers. Whenever the young men, young akicita (Warriors) would protest and challenge the leadership, the chief would complain to the U.S. Military Commander that he had renegades acting up in his camp. Immediately, the United States would send a calvary troop to visit with the protesters and tell them to behave or they would be arrested and placed in jail. In Sisseton, our elected leader Andy Grey called the U. S. Attorney (United States Government) and told him he had a group of people who had taken over the tribal building. (Renegades) How did the United States Government respond; they sent in hundreds of agents fully armed and equipped (U.S. Calvary troop). And a number of tribal police from other reservations were dispatched by the Bureau of Indian Affairs (Mr. Gover & U.S. Calvary). The so called renegades, most of them veterans and members of the Kit Fox Society were rounded up (by the United States Government) and told that if they did not behave they would be arrested and placed in prison for a period of 10 years! Traditional people here on the Sisseton are no different than those on the Pine Ridge, we are seeking a government that will listen to the needs of the people and quit trying to become whitemen! We are Dakota we will always be, we were the last of all the Historic Native Americans who fought for our country, for our people, for our future. Yes it is true that we were defeated by the United States Military, but we did not roll over and become farmers! We were promised many things from the United States Government but they were all lies. Today we are finding that many of our tribal leaders want what the white man has so badly that they will steal from the poor people, they will lie and cheat the elders, they will do anything to pad their own pockets. As Dakota people we have had enough of this, it is time for a change. As a non-IRA tribe we have more flexibility to change than those tribes who accepted the IRA and "canned constitutions and by laws." We are looking closely at our tiospaye form of governance and leadership. Our traditional governance allowed us to survive for thousands of years, today under clone constitutions we are suffering and dying, there is no hope. If we are to continue the proud legacy of our ancestors we must listen to our blood, it is the blood of our ancestors flowing through our veins, they are telling us what is right. Change is always difficult and dangerous but we must go back to a representative form of governance where if one person is poor we are all poor, if one person has plenty we all have plenty. Look around your reservations and you can see that our current form of governance is not equitable, instead the rich are getting richer and poor are poorer. Last Friday our tribe hosted a public forum (one of the demands from our akicita). It was reported that $l.3 million dollars disappeared from the tribes books. This was the difference from what the casino turned over to the tribe and what the auditor reported in his audit findings of tribal accounts. $1.3 million disappeared from the time the casino turned it over to the tribe to the time the tribe recorded it in their books!! It was incredible that the tribal council sat there totally unmoved by this news, and even more incredible that the tribal Vice-chairman/treasurer could not answer what had happened to the missing $1.3 million dollars. Tribal members were outraged but not one council member raised an eyebrow to them it was business as usual. Some thing is terribly wrong with this picture. On our reservation we have our traditional societies that continue to function ceremonially, we have our Kit Fox, and Grey Owl warrior societies, we have our Pte Cante Winyan, womens society, the basics are there to build on and revive the tiospaye. We need to utilize these societies and their energy in a manner that is more politically functional to the needs of the people in addition to their ceremonial functions. Change is coming and it cannot be stopped. Pine Ridge and Sisseton are now walking in front.